Christmas is just around the corner, which means it's time to begin preparing for the holidays! 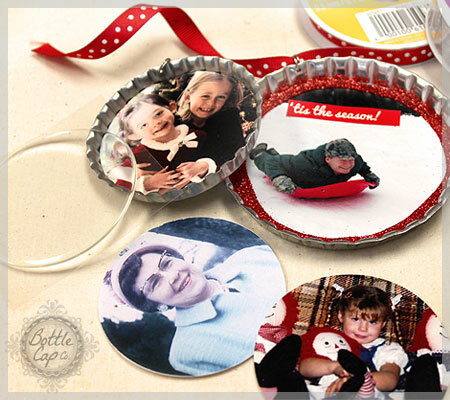 There's no better way to get in the spirit than to make your own bottle cap ornaments using photos and Over-Sized Bottle Caps!! 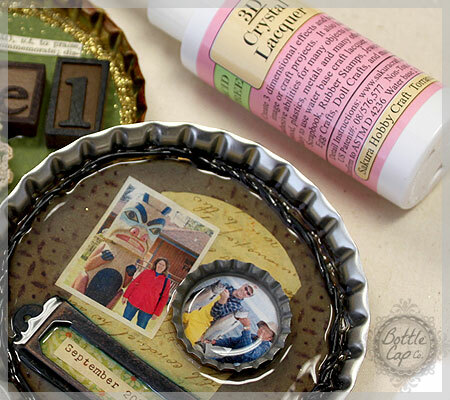 Jumbo Bottle Caps are a convenient sized space for a photo Christmas ornament. 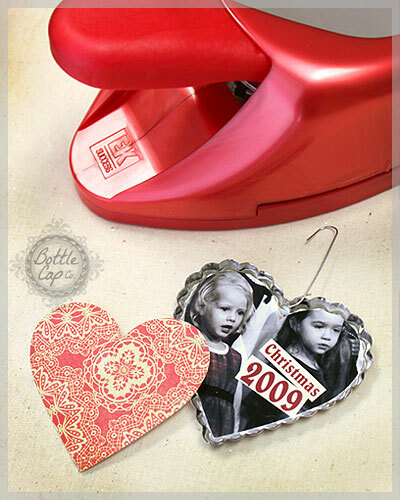 Use a 1 3/4" hole punch to easily punch your favorite pictures from the year. 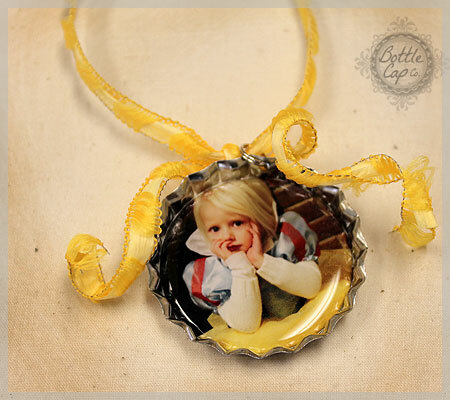 Photo ornaments make wonderful handmade gifts for grandparents or parents...or just about anyone!! What better way to celebrate the Holidays than to create a tree full of family memories!? Collect your favorite photos from holidays throughout the years and add them to your tree. Photo ornaments are really fun to take out each year. This is an easy, relaxing photo craft to do as a family. If you want to add some fun and color to your craft night hang your ornaments with ribbon and add/or any other kind of embellishments you would like; from glitter to jewelry charms. Get nostalgic with pictures of previous holidays. Add a date to your ornament with paper cut outs. 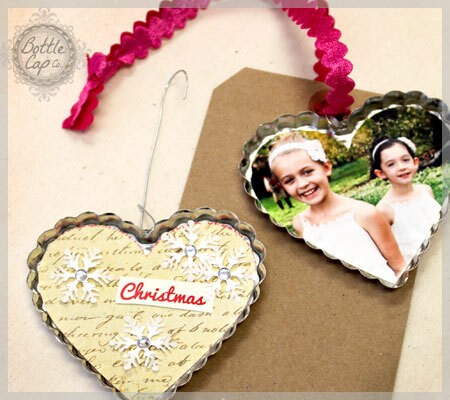 A heart shaped ornament with a photo of a loved one (or two), make an extra special gift. Making ornaments can be as simple or as elaborate as you would like. Tailor the craft time to fit your needs. 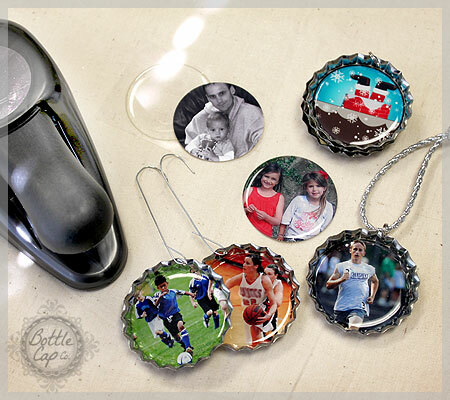 Whether it's a 5 year old birthday party activity or a senior craft night, this photo ornament craft can be done with out a lot of supplies and mess. Your crafters will come away with a keepsake that will last for years and years and also leave your pocketbook in pretty good shape! 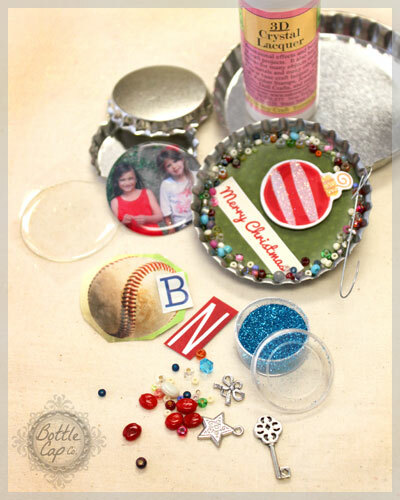 Over-Sized Bottle Caps are a blank canvas for any child's imagination... glitter + beads + charms + glue + photos or artwork = a keepsake ornament to treasure! 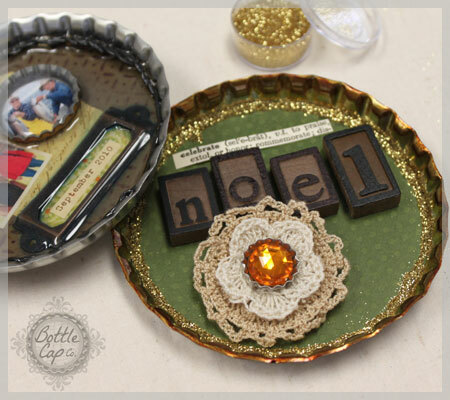 Add a word to your ornament with small wood Letter Press Inspired Tiles. Spell our a meaningful holiday word in our Super Duper Jumbo ornaments! Add glitter, fabric, crochetted flowers, fabric flowers, acrylic gems, paper craft... anything you can think of to fill up your 3 1/2 inch diameter space. Use 3D Crystal Lacquer to seal up your design if you want to add smaller bottle caps or other 3D objects. *CRAFT TIP: If you're sealing up a photo or printed design make sure that your images are printed on a laser printer, copier, or a press, otherwise the images will eventually bleed out. Yep, I've done it :0( It's so sad! 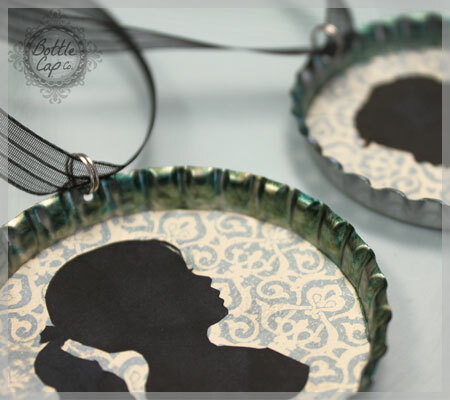 Create a silhouette Christmas ornament and then antique or color tint the metal using a little alcohol ink and a paint or sponge brush! It's easy and fun! Hello. I'm trying to make this with a photo, but not sure how to resize the image so it's not distorted when resized to a 1 inch circle. How do I print the photos??? Thank you! Aliza, Please contact customer service. We would love to continue this dialogue via email! Looking to order some of the heart bottle cap how can I purchase some ?